7.31 points at 16 votes (rank 256). In this game everything is about marbles of different colours. The basic idea is to place four marbles of the same colour in one rotatable 4 hole receptacle, while in the upper part marbles of different colours (red, yellow, green, blue) come into the game area. As soon as a receptacle is full, it "explodes" (burned out receptacles are black in their marble slots), the receptacle is free again and can still be used. When every receptacle has been brought to explosion once, the level is solved. Additionally, there is of course a time limit whithin which a marble is allowed to roll on the "bar graph". And as this is not enough, there are other mean things as a time limit for solving the level, colour stoppers which only let through marbles of one colour, colour changers the recolour the marbles, direction arrows that work like one way roads, lights that indicate with which colours the receptacles have to be filled first, horizontal and vertical teleports and much more. 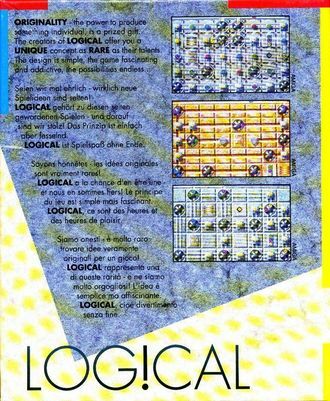 A game principle based on a new idea which has been realzied graphically and game technically well. The controls by joystick are also precise. The difficulty level of the altogether 99 levels rises slowly but constantly, so the fun in the game stays for long. The highscore list is saved. You find it in all levels. It shows how many marbles are inside the channel system at the same time. As soon as four marbles move no other one can be shot out from a receptacle before one of the four marbles has been put into a receptacle. 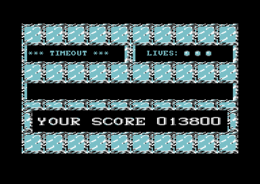 It can be found in very many levels (integrated into the playing area) and poses a time limit, which means that a level has no time limit if there is no hour-glass in the level. This time limit for solving the level must not be confused with the bar graph time limit for each marble which is shown in a slowly growing shaded bar. These game elements only allow marbles with the displayed colour to pass, they can appear in all four colours. The colour changers colour the marbles rolling underneath them into the displayed colour. They can also appear in all four colours. Direction arrows have two features: Firstly, they redirect the marbles into the direction of the arrow, secondly they work like "one-way streets" es they push back the marbles coming from the opposite direction. You should be especially careful when shooting a marble into a one-way street with a colour stopper at the end. If the colour of the marble does not correspond to the one of the colour stopper it will get stuck there. In every level there is a maximum of one horizontal and vertical teleport. The two horizontal and the tow vertical teleports belong together. This level element determines the order of colours with which you have to fill the receptacles. So first fill a receptacle with the colour that is shown by the uppermost marble in the lights and so on. So if the lights show e.g. the colours red, yellow and green from top to bottom, you have to fill a receptacle with red, then with yellow and then with green marbles. This element was invented for real tinkers and kind of poses the "royal league" (that is why it only appears in alter levels). It shows that the receptacles do not have to be filled with four marbles of the same colour, but with combinations that are shown in the element. From time to time the marbles disappear from the element and the receptacles can be filled as always with marbles of the same colour. This helpful element appears in some levels and enables you to act foresightfully. It always shows the colour of the upcoming marble. At the end of each level you get your score. It depends on how long you have taken to solve the level. It is calculated by the time that is still left. Additionally to the time bonus points there are other possibilities: For each receptacle exploding with marbles of different colours, there are 500 points (only possible if there is a "colour handicap"). For each finished level there is a basic bonus of 1000 points, but for every marble that is still in the game area at the end of the level (no matter if in a receptacle or in a channel) 100 points are subtracted. This means that you get 300 points if you had 7 marbles left in the game. However, there are no negative points. 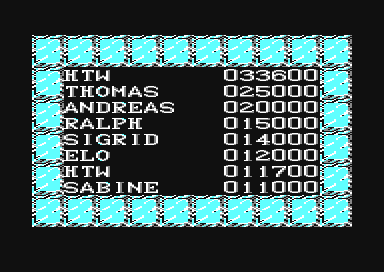 If you belong to the 10 best players at the end of the game, you can enter your name into the highscore list which is saved on disk. H.T.W: "A very well-thought through and well playable tinkering which keeps up the fun by the 99 level, whose difficulty grade rises slowly and by the saveable highscore list. The game elements are clearly recognizable, graphics, sound and controls are functional and the interest keeps up by the possibility to start in a higher level by entering a password (from level 50 it gets really really tricky). Altogether a game with high addictive potential. Recommendable!". FXXS: "It tarnishs a bit the motivation that you can absolve a level successfully with 0 points, and also that it gets rather hectic in level 17-19, because the time limit is catered to a faultless playing. Exactly the latter makes me miss controls by mouse so sadly. 8 points." 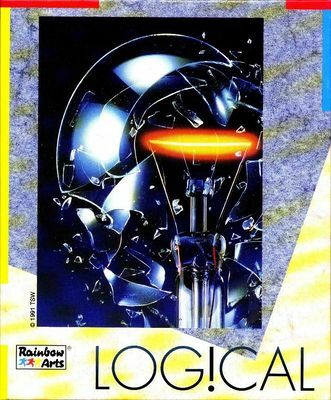 There is a copy protection on the original disk which requires the last page of the manual. 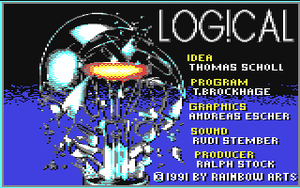 In the versions for Atari ST, Amiga and IBM the game includes an editor with which you can create your own levels. For technical reasons this could not be done for the C64. According to the manual, you can choose different graphics to play with.